More composed, more refined, more matured. That’s the all-new RAV4 for you. 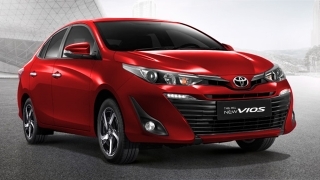 In case you’ve missed it, there’s an all-new Toyota RAV4 in the Philippines. 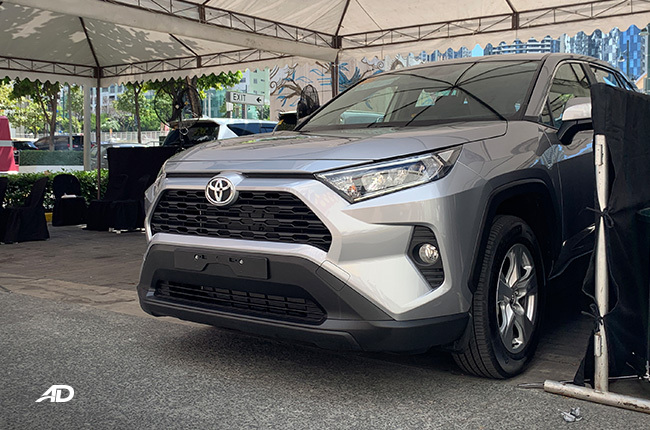 It’s Toyota Motor Philippines’ vie to the compact crossover segment, destined to power up its top-selling lineup even further. 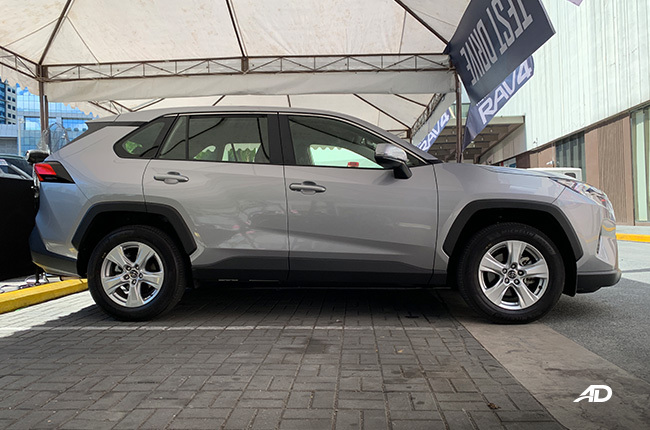 Now, in as much as we want to give you a 2019 RAV4 review as soon as possible, TMP was only able to provide a quick test drive to the members of the media. 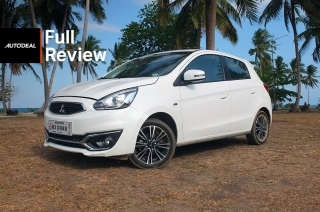 Not that we’re complaining, mind you; a test drive is a test drive, and the brief moment with the fifth-generation compact crossover is enough for me to quip my first drive impressions of the car, albeit, in its base LE variant. 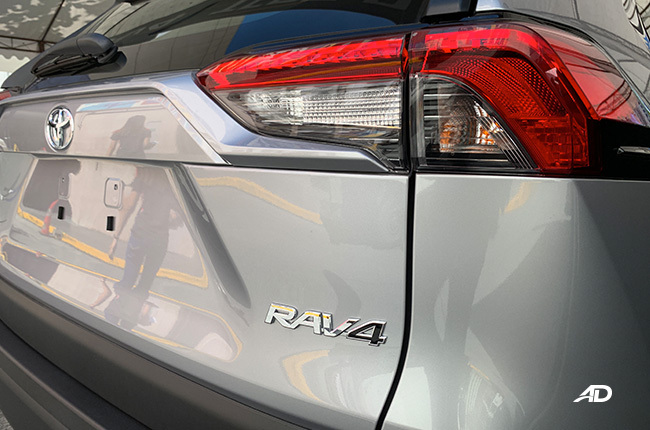 Now, in full disclosure, I am seriously a fan of the RAV4 since I was little – from the three-door cute SUV up to the outgoing model that I reviewed before. 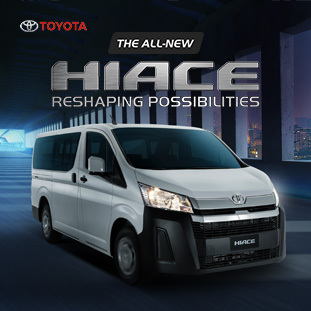 It’s more of an infatuation with the car’s styling since it’s the Toyota that stands out in the carmaker’s range. The latest version, although still outstanding and the most appealing of all Toyotas (aside from the 86), is a bit of a downer for me. 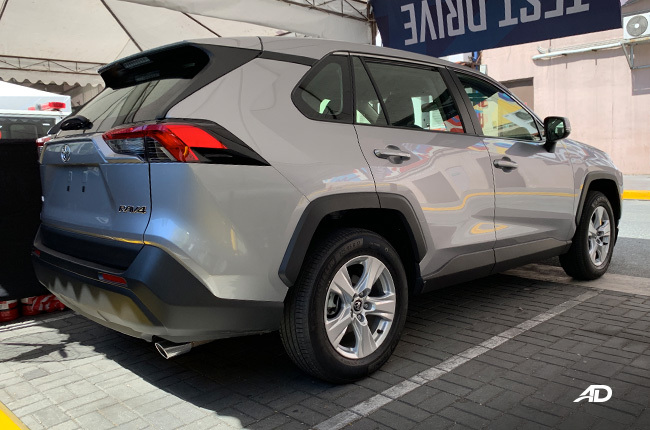 Maybe I’m just expecting too much from the RAV4 – a car that’s made to excite and be extraordinary. 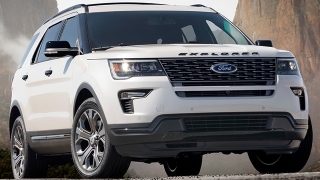 In my opinion, the 2019 RAV has become a normie in youth-speak, something that would remind you of other crossovers and SUVs in the market today. 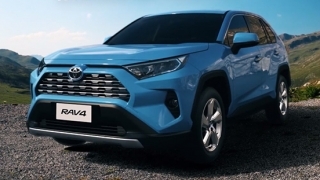 Dimensions-wise, the RAV4 has become longer than its predecessor, specifically sporting a longer bonnet and a wider stance. 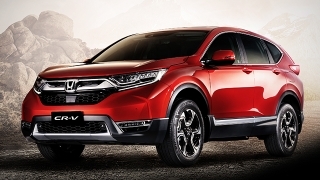 It’s almost as big as the Fortuner midsize SUV, minus the towering ground clearance. 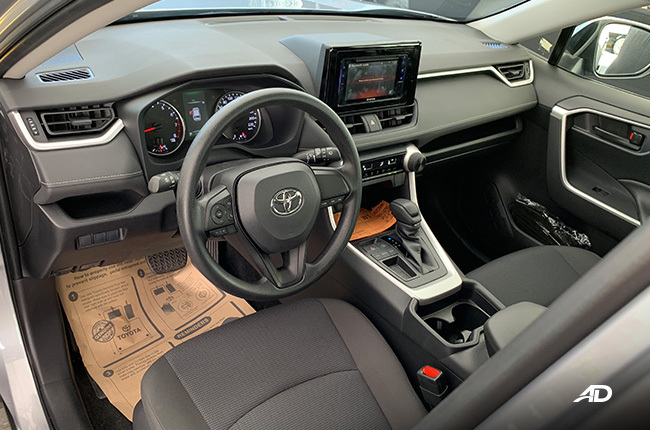 And yet, regardless of the increase in size, the RAV4 remains a compact machine that’s easy to maneuver within the city. 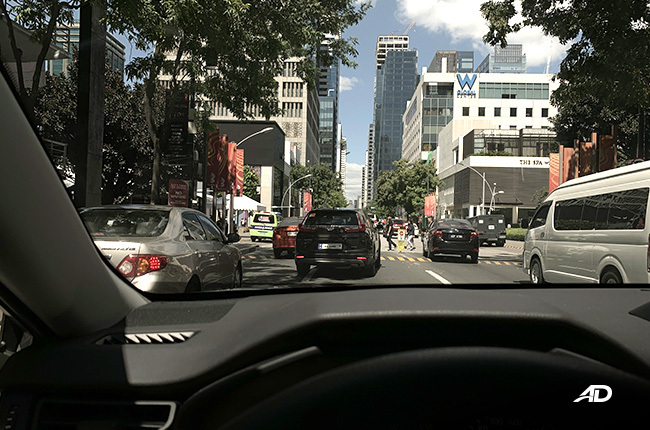 Going around Bonifacio Global City, amidst heavy traffic in some parts, it was a painless drive, especially with the car’s brake hold function and light steering feel. 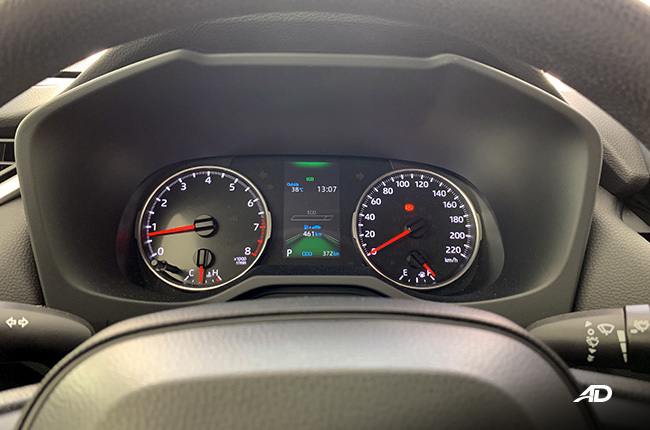 I instantly felt the car’s attempt to speak to me as its owner – and I didn’t even bother to complain or fight the feeling. It almost felt like the car was my own daily driver. 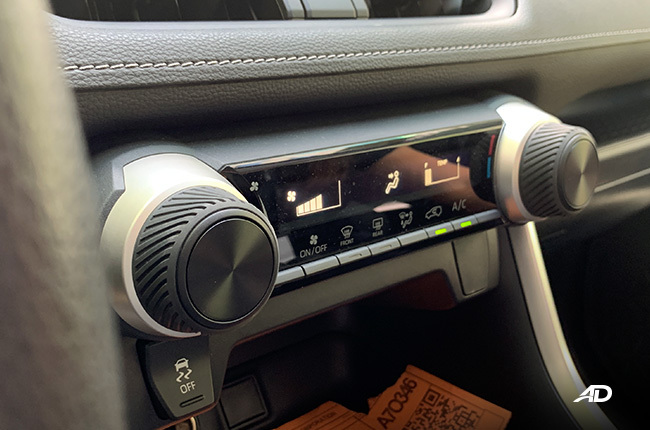 The 2019 RAV4’s interior was among the things that I quite love. Even in its base form, the polyurethane wrap on the dashboard, steering wheel, and console box lid was well executed plus the plastics were easy on the eyes. 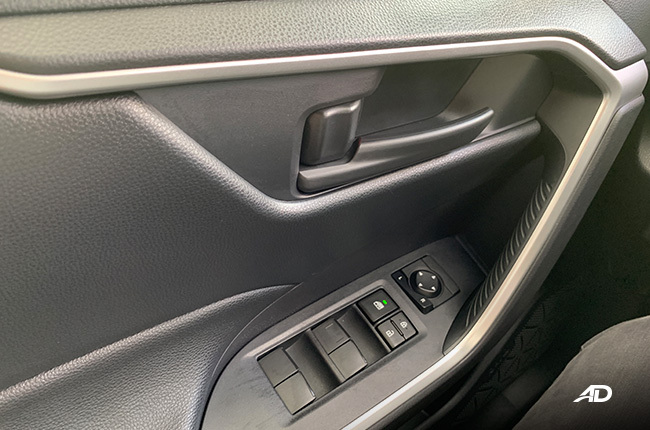 The controls were clustered nicely, allowing a user-friendly and ergonomic interior that wasn’t hard to operate. 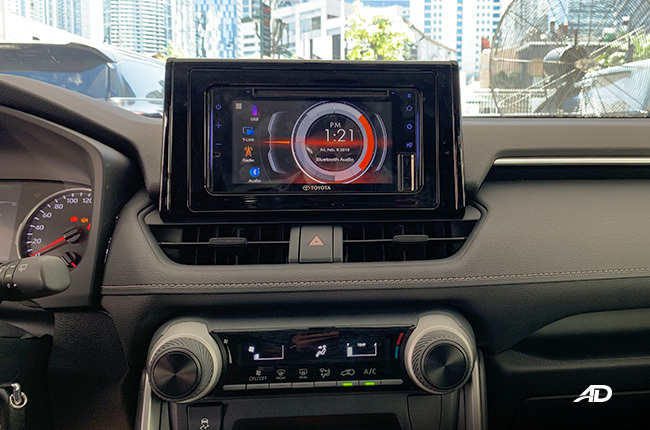 I wasn’t able to connect my phone via Bluetooth to the touchscreen infotainment, though, so that’s something to watch out for in the in-depth review. 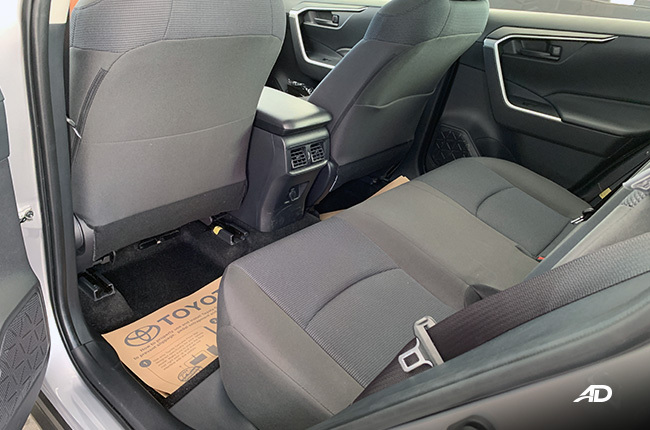 The RAV4 was spacious, as well, and the rear seats are gifted with air-conditioning vents. The fabric upholstery was soft and comfortable, employing a cradled feeling – akin to what you’d feel in your home couch. I just have one tiny gripe: I noticed that the headroom for the driver wasn’t too generous even when I adjusted my seat to the lowest position, but that’s fine since I only stand at 5’6”. 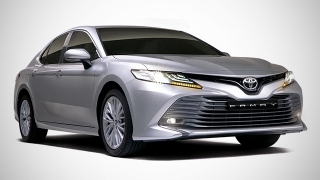 It’s apparent that Toyota did its homework when it comes to the new 2.5-liter naturally-aspirated engine. 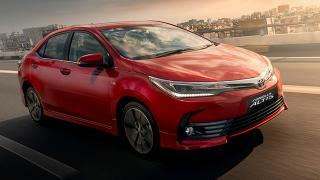 The sole engine option instantly provided the needed pull with a slight tap to the accelerator, while maintaining composure brought about by the eight-speed automatic transmission. 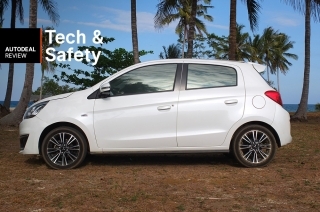 It was a linear type of drive, which leaned towards comfort and fuel-efficiency rather than performance. After the quick test drive, there’s only one thing that came into my mind: I need to have a full review of this vehicle. 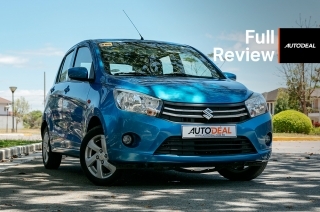 I believe that its refined driving dynamics could offer so much to Filipino car buyers, especially those who veered away from the nameplate because of its price tag. At P1,638,000, the base RAV4 LE variant is already a good deal, more so, if it’s the feature-packed range-topper LTD trim, I reckon. 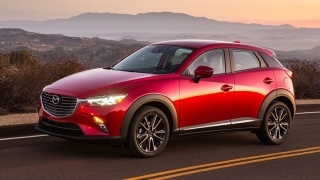 The 2019 RAV4 may have lost its uniqueness in my eyes but my infatuation still remained. I’ll just think of it as something that has changed and matured for the better. 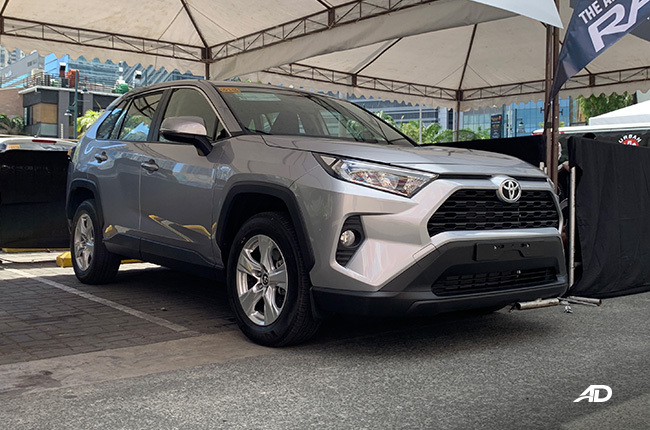 For those who would like to try the all-new RAV4 themselves, the public test drive in Bonifacio Global City (near the Bonifacio Global Amphitheater) will be open to the public tomorrow, February 9 (Saturday) until February 10 (Sunday). Don't worry, it's free. Just make sure to bring another government I.D. to go with your driver's license. 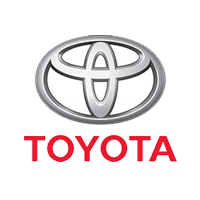 Hi, I would like to receive a financing quote for the Toyota RAV4 2.5 LE AT, thank you.